The Church of the Holy Sepulcher. 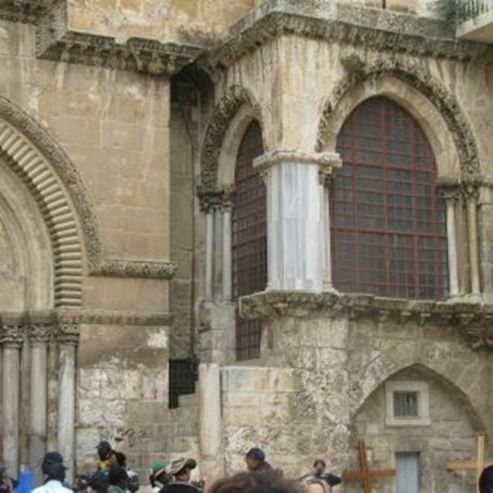 According to Christian tradition, the Church of the Holy Sepulcher was built on the site of Jesus' crucifixion. He was also buried here, and this is the holiest and most important place to Catholic and Orthodox Christians. The church is controlled by six different religious authorities. 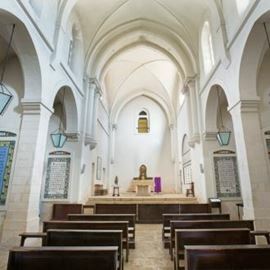 Separate prayer times are determined for the members of each denomination, and once a year the heads of all the denominations convene to discuss common problems. Reconstruction work has been completed and even if you've been there before, it's worth another visit. Photographer: Yehudit Garinkol. From a PikiWiki.